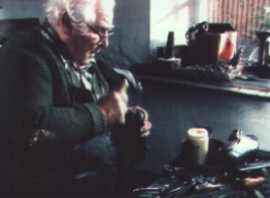 Try to find a shoemaker who is working in the traditional way. It is almost impossible, since this trade has thoroughly changed. The 81 year old Josef Huber from Erding in Bavaria did not give up. Sitting in his shop where time apparently has stopped he is making - after 40 years - once again a custom pair of shoes - for his wife.